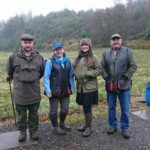 The new season got started at Tarbert Gun Club on Sunday October 14 with the annual Down the Line shoot. 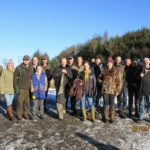 In fantastic conditions of sunshine and no wind, 38 competitors had no excuses for a missed target, and high scores were expected. 15 competition top shots: Niall Wilson, John Weir, Bob McColl, Andrew MacDonald and Archie MacGilp. 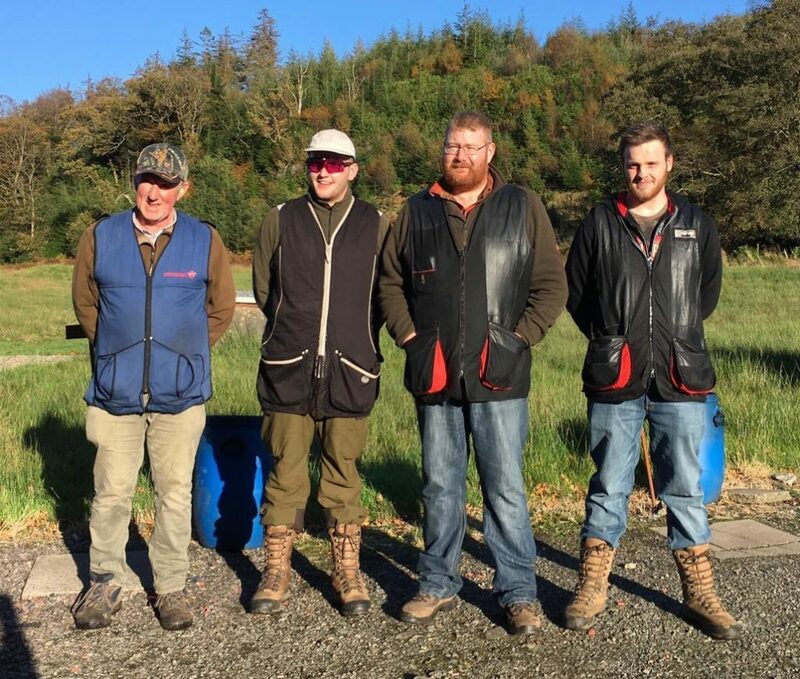 Match 25 clays: Ronald Jenkins hit a maximum, with some wags in the club suggesting that his score had to be double checked – but it proved to be correct. 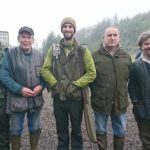 The High Gun was won by Archie MacGilp Junior after a shoot-off with Niall Wilson. The pool-trap was won by Bob McColl after a shoot-off with J Weir and R Jenkins. The most improved shooter was Darren Campbell and the Junior Shield was won by Matthew Peden.